Kate Waterhouse is a journalist, media personality, television presenter, radio talent and columnist. 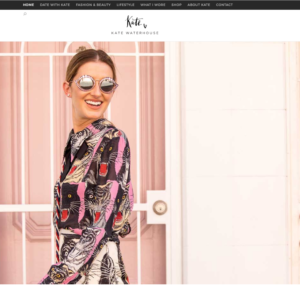 We worked as part of a collaboration of creative digital experts to refresh Kate’s website ahead of the premiere of Fashion Bloggers TV. We took a beautiful design created by the talented design team We Are Label and coded it for great user experience.